› Anxiety Disorder Is Treatable Don’t Lose Hope! Hi, my name is Debra, Director of PCCS Mediators & Counsellors. We are an Ontario Based firm with a professional and dedicated staff that provides mediation and counselling services in Peel, Halton, Dufferin and surrounding areas. 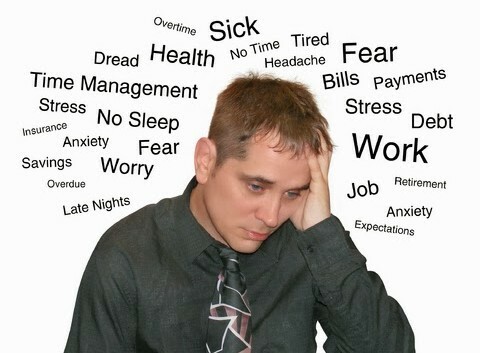 This month’s article focuses on “6 Tips To Help You Manage Anxiety Disorder”. Anxiety impacts your daily life. The best way to manage the potentially crippling impact of anxiety is to acquire as much knowledge as possible about the condition and learn some new techniques for managing it. Feel free to contact our team at 1 866-506-7227 for a free no obligation assessment of your situation today. We provide anxiety counselling that often makes a huge difference in one to six sessions. Separate yourself from things that cause you anxiety for a few hours every day. If you find that thinking about something too often is making you anxious, go on a walk or somewhere you like for a while. Thinking about something too much can just make it worse, so keep your mind occupied. Control your thoughts to help yourself deal with anxiety better. Many times anxiety is caused by thoughts you have in your head. Negative thoughts can overwhelm you and cause anxiety. Once you learn how to control what you are thinking about, you can deal with anxiety better and possibly get rid of it. Start your day with positive thinking. When you wake up in the morning, make sure you start with positive thoughts. Reassure yourself of the positive things about yourself, and your life. This will help you get a good start to the day, and will eliminate anxiety later on through the day. Staying active with exercise of some kind will help to burn off energy that your body would put to use to feed your anxiety. Get out for a walk, take a swim or take up aerobics or yoga for positive physical activity. Anything that will feel good as you do it and burn energy is going to help alleviate your anxiety. 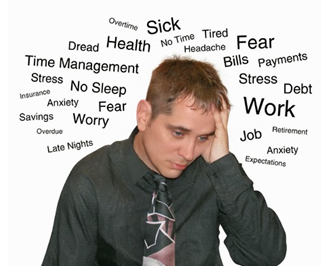 If anxiety interferes with your daily functioning, get professional help. Nobody should have to suffer silently through the fear, or be forced to live a limited life due to anxiety. Doing nothing is condemning yourself to a miserable existence. It is certainly true that anxiety is a condition with the power to negatively impact the lives of those it affects. A great way to handle the condition and regain control is to acquire as much information as possible about anxiety. Apply the advice in this article liberally, and you quite likely will notice a difference.